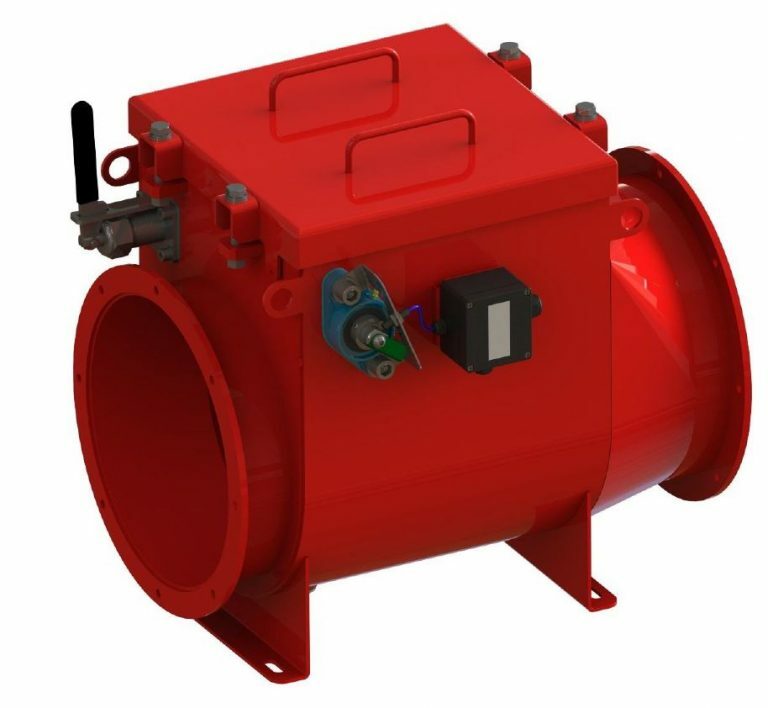 The BFV explosion barrier valve is a mechanical device designed to prevent the propagation of flame and pressure between pieces of equipment within a process area. When an explosion occurs within a contained vessel (such as a dust filter unit), it will gain momentum and travel through connected ductwork, spreading rapidly through to other areas of the process. This causes a much larger explosion, damage to neighbouring machinery/equipment, and will put lives at risk. 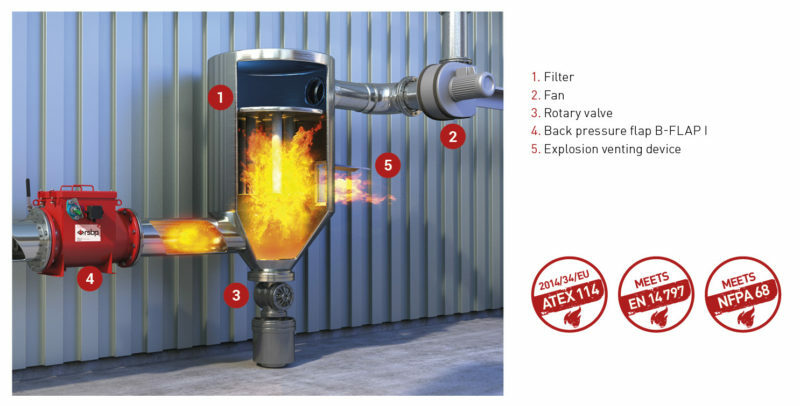 With an explosion barrier valve, such as the BFV, the explosion is swiftly isolated, minimising costly damage and risk. Suitable for ST1 and ST2 zone 20 operation (up to DN400), and ST1 zone 20 operation (up to DN800). The BFV is available in stainless steel or mild steel with a surface finish of Kamoaxit (RAL 3000 – red). Most barrier valves rely on the process air flow to keep the flap open, but the BFV maintains a “normally open flap” state. In normal operation, the pressure flap is held open by a mechanical latch. When an explosion occurs, the flap is forced closed by the explosion pressure wave and locked in place, thus preventing the spread of the explosion to other parts of equipment or production technology. 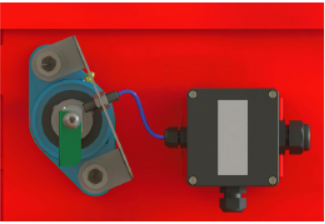 The BFV incorporates an inspection hatch, which makes maintenance access of the valve very simple. An optional position sensor is available. The sensor will send a signal to indicate the position of the flap (open/closed). The signal is determined via the mechanical position indicator (green tab).